The notion that there are so many poorly dressed people who travel internationally, is sad, but true. 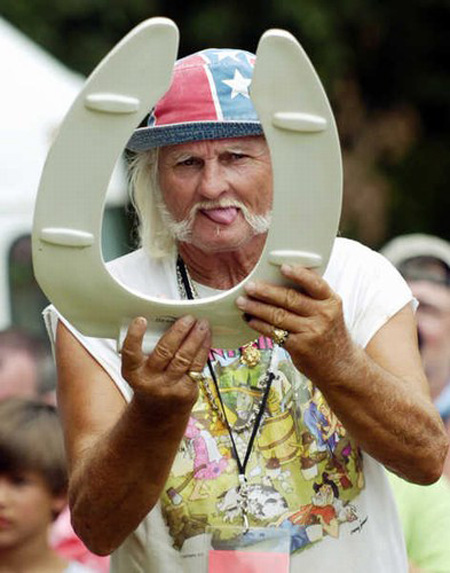 There is a reason why stereotypes exist. The term “ugly American” didn’t just come out of thin air. The following are things I hope to never see again by people, especially my country men, while traveling internationally. If I offend you; I’m sorry. I think I speak for many who travel when I say the following. Hawaiian print. Keep the flowers at home! Until Dolce & Gabbana comes out with its Hawaiian Collection; please, please, please do not bring your bright Hawaiian prints to Italy – or anywhere internationally, for that matter. The only exception is if, and only if, you are traveling to the islands, or somewhere tropical. Political t-shirts. I’m very patriotic and proud of my country and its leaders. However, a few years ago, I saw a man in Roma who wore a T-shirt with Obama’s Face front and center, with big letters that read “yes we can.” Regardless what you, or others, think of Obama, you never know what message you are sending. Remember we are visitors in someone else’s country. When you travel, make the best effort to be at peace with those you interact with. A t-shirt like that could throw gas on an already well lit fire. Tank Tops. I know the Italian climate, especially in the summer, can be extremely hot. Please refrain from wearing tank tops as you walk around in public. Men and women both. Florescent colors. I know 80s fashion has come back, Lord knows why, and some Italians might have even jumped on board. For the most part is laud and annoying. It will mark you as a tourist; can attract unwanted guests. Backpacks, pockets, cameras. Let’s be realistic you need a day pack to carry stuff around throughout the day. Just make sure you are conscious of the things you take with you. Pick pockets in Italy are professionals. Pockets, if I see another person with a passport, plane/train ticket, or other important paper work in the from shirt pocket of anyone will still it myself. Not really but those who think their front shirt pocket is the Ft. Knocks compartments, I want to spit, crew, and scream! It’s such an easy target; don’t fall victim. When not in use keep cameras in a safe place out of sight. These are a few of the things that have caught my eye as I started to pack this week. I’m sure there are more. If you have any personal fashion red flags, feel free to post them in the comment section below. Italians are known for many things. Off the top of my head I can think of five: food, fashion, cars, love & romance, and history – just to name a few. Italians live life with a class and style all their own, but like every culture they have their idiosyncrasies. The first time I saw the locks I had not clue – I thought is just looked ugly. If you have not idea what I’m talking about, you in good company. Most people don’t. Even I didn’t know for almost 5 years. Until I was educated; here’s the story. 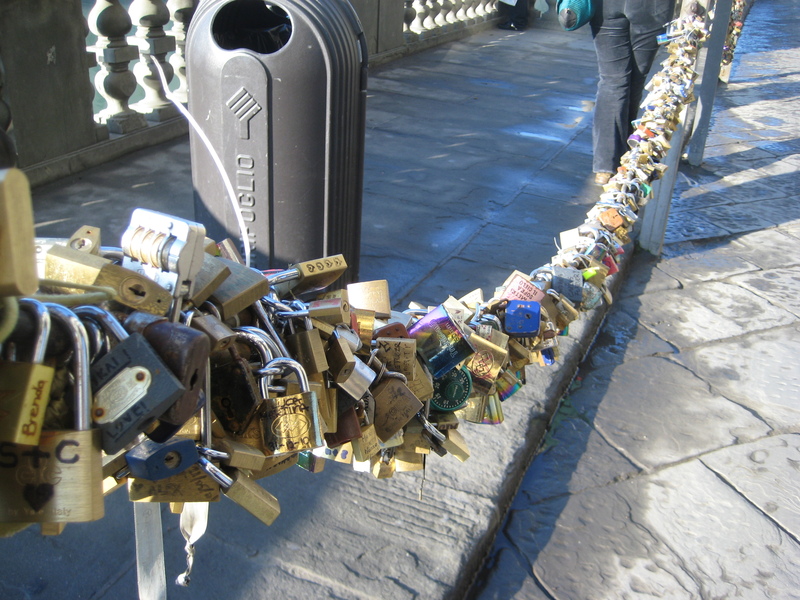 Where ever streets have picturesque views in Italy you see a chain, a guardrail full of locks. The locks are next to and on top of each other. It doesn’t matter, as long as they’re stationary. 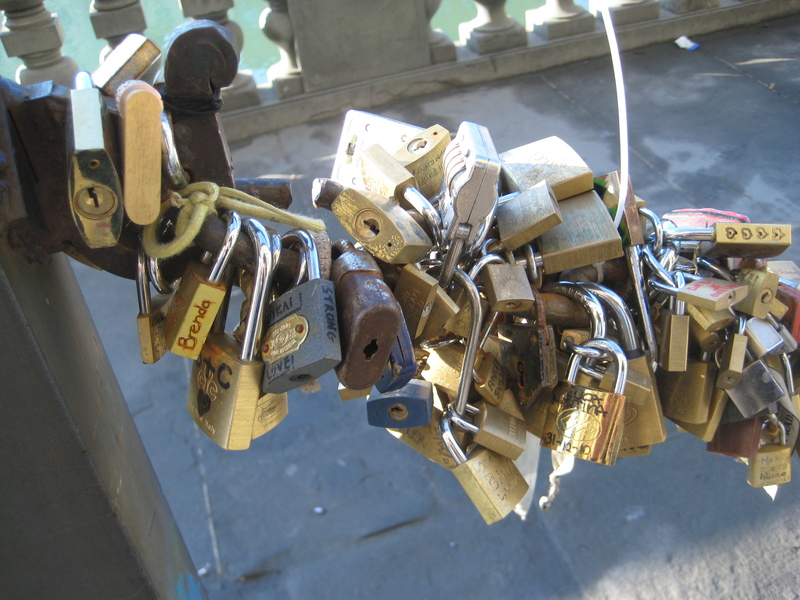 Each lock has two initials and or a heart. The tradition goes like this. After a long romantic walk couples usually take a lock; Inscribe both their initials, securely fasten it to the chain. Then throws away the key. As if to say our love will last forever. The Italians took carving initials into a tree a step further. They mark their relationship in style. It’s an incredible sight to behold when the locks blend into the Italian landscapes. As odd as this sounds it’s a more common and beautiful than one would think. It’s one of those things that marks the Italian as a great people. Next time you travel. Mind the locks. Of all the topics about Italian travel, I bet few of you figured I would write about bread. 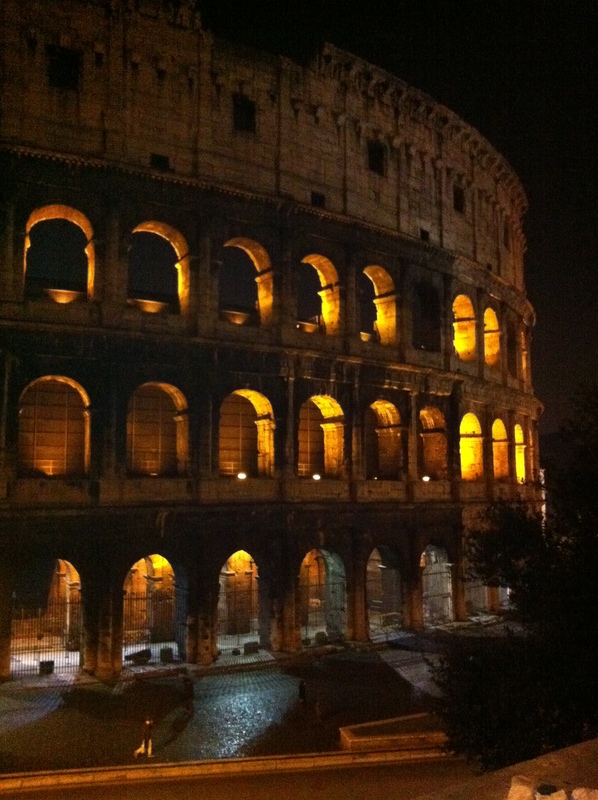 I am hypersensitive to others speak about their travel experiences – especially travel in Italy. If you have spent any time in a big city you know subconsciously overhearing conversation is easy to do – regardless if that’s your intent. The comments people make about Italy always astound me. Italy either fits you like a glove or turns you off faster than you can say ciao. I have heard a handful of people say the bread in Italy is awful. At first I didn’t think much of it, but on my last trip across the pond I started making observations. The farther south I went; the better the bread tasted. In Bologna the bread was dry and crumbly. In Firenze the bread was still dry and crumbly. By the time I got to Roma it got easier to find fresh soft bread, but often it was dry. When I arrived in Napoli I was almost amazed by the fact that it was exactly what I was looking for. The bread was soft and chewy. After a few conversations with the locals I found my answer. 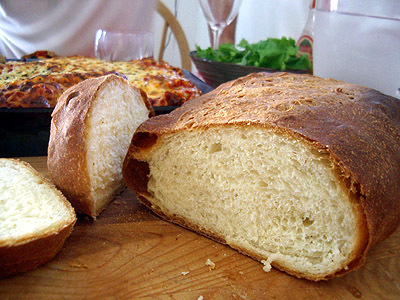 Most bread cooked in the south, especially in Napoli, uses salt in the recipe. Most bread north of Roma doesn’t typically use salt and as a result it doesn’t taste very good to American palettes. The bread at restaurants is not free and costs any where from €2,00 – €8,00. So if a restaurant makes the bread on sight or orders it from the local bakery consider asking if salt is used before you make your final decision. As we start heading out of March and into April, it’s officially the start of “pre-vacation” season. Most people are planning vacations, or have already planned them, and are buying ticket, reserving hotels, tours, etc. Florence is often times on peoples travel bucket lists. Since my first time to this city, this past January, the visit compelled me to write about recommendations. So often, when traveling, we feel rushed as to not “miss anything” within these once in a life time cities. Time is often limited as we feel the need to get the best bang for our travel buck. Case in point, yesterday morning’s online edition of The Wall Street Journal covered sights to see when traveling to Firenze. It seems everyone wants to be dreaming of Italia. Firenze has great country food, but it can be expensive. If you want to eat well without spending too much, don’t eat ever meal out! It’s easy to simply, sit at a restaurant, when you are hot, tired, dehydrated, and hungry. Buy food in the local markets, or grocery stores, will tide you over until your big restaurant meal of the day. Il Duomo – Costs 7 EURO walk to the top of the copola. It is well worth it if you can physically handle the walk. Ponte Vecchio – World famous bridge that crosses the Arno river. Absorb the culture of the city as you walk to and from the bridge. I stayed at the great bed & breakfast within walking distance of the train station and the Duomo called Soggiorno Magliani. An excellent place to stay, inexpensive, and has an extremely knowledgeable and friendly staff. Firenze seems to be the city that most English speaking people like to visit. So, If you are looking for an off the beaten path kind of tour, this is not it, however, it’s a great place to see some classic Italian country. I will return in due time. Do you have a favorite restaurant in Firenze? I am making my preparations for my first trip to Italy this year! — Can I get a what what! As I have been diving into where I am going two things have hit me. One there are so many place to go. And two, there are so many places to drink good wine! Lets cut to the case. Florence: For most americans Florence is the italian mecca. Most people when the picture Italian living in their minds they think of nothing less. Even though I have avoided florence in my travels I will be making my first stop there on this up coming trip. Recommend — If you are a wine drinker, as I am, you have to try a bottle of Brunello di Montalcino. It’s a must for any wine lover. It is my favorite wine right now, regardless of the high price tag.